UK Made length adjustable utility strap with quick release buckle on 2.5 x 103cm nylon webbing strap. 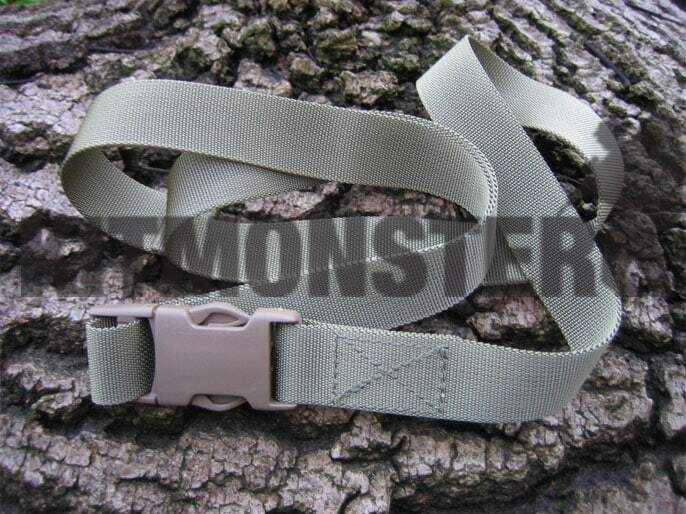 Light olive strap and colour matched buckle, an excellent colour for use with Multicam and MTP. Modelled on an issue item, these have multiple uses, from cargo strap to belt. New, unissued condition.